Outfit you and your crew with 4 enamel camping mugs on your next adventure for just $17 using code GMGMUG. 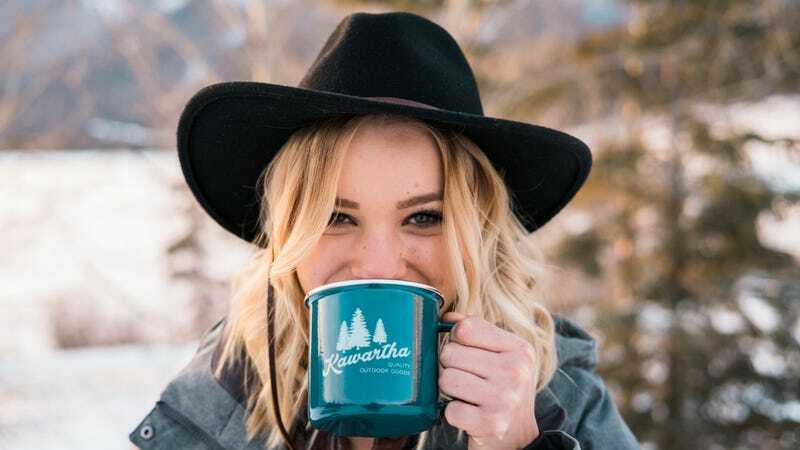 Kawartha Outdoor’s enamelware mugs are double coated for durability and feature a stainless steel rim. They hold 16 oz and can even be placed on the fire to reheat your drink. You’ll get two river blue and two cream mugs in each set.